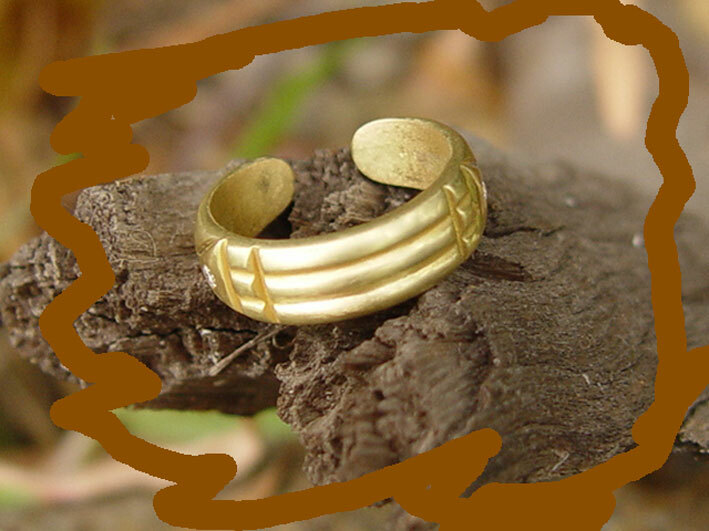 The bion ring is based on the ancient Assouan Ring also know as the Atlantis Ring. Hidden energies have a huge impact everyday on our ability to be happy, confident and relaxed as we deal with our daily lives. They are also affecting our health. Anything that offers electromagnetic protection is very helpful, and the Bion ring is one of the best. 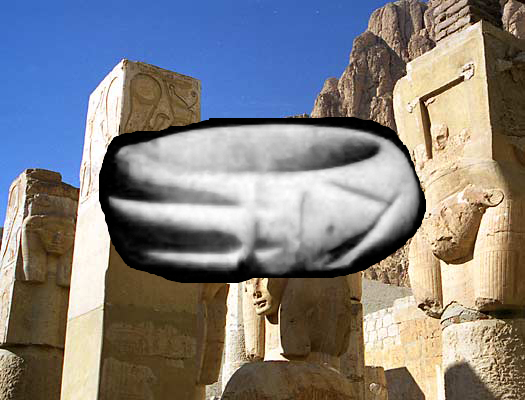 The Bion Ring is based on the design of an ancient sandstone ring, known as the "Assouan Ring". The ancient ring is thought to act as a quantum filter, and potent amplifier of bio-resonant frequencies, through sympathetic resonance technology. The original ring was discovered by the Marquis D'Agrain in the year 1860 in the Valley of Kings, Egypt The ring was found in the tomb of the Egyptian high priest, Jus; it was the only artifact found at the excavation site which had a markedly different appearance to all the other ancient Egyptian pieces found at the tomb. Enscribed on Jus's tomb were the words:"I offer immunity to the first visitor here." The Assouan ring is thousands of years old. Some believe that it actually originated in Atlantis. 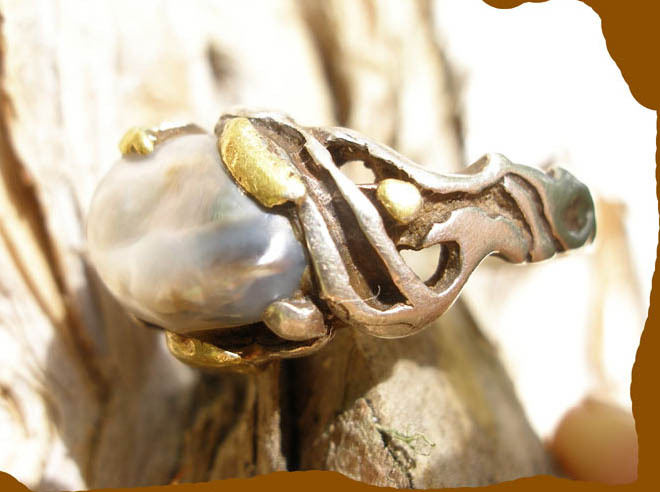 others believe that the design of the ring was "channelled" from older Atlantean intelligences to a stoneworker during the reign of Pharaoh Amenhotep, who then made the ring out of sandstone. 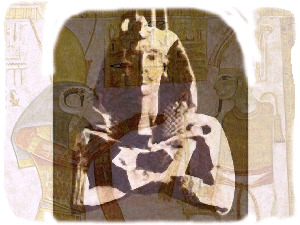 Some believe that the "Heretical Pharoah" Amenhotep 1v, who was married to Nefertiti, was the father of tutankhamen. Andre de Belizal, a renowned French radiesthesist inherited the ring. De Belizal spent many years of his life researching the subtle energetic radiations emanating from different shapes and patterns. He analyzed the electromagnetic waves emitted by the sandstone ring; hisremarkable findings showed that a powerful protective field was propagated by the ring; this protective field would surround the person wearing the ring, as well as his house and immediate surroundings. Howard Carter, the British archaeologist found out about De Belizal's research into the protective properties of the unusual ring. 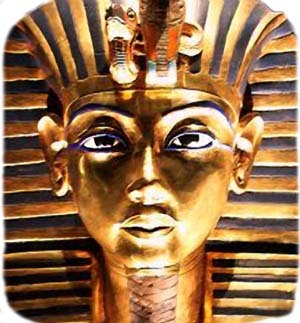 Carter obtained a copy of the original ring, which he wore during his excavation of King Tutankhamen's tomb. 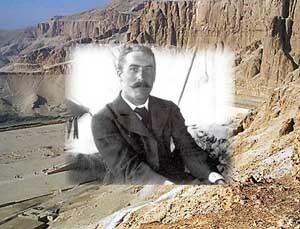 Many members of the King Tut excavation encountered misfortune, such as Lord Carnarvon who funded the expedition, who died from an apparent insect bite shortly after the excavation was completed. Howard Carter wrote that he attributed his wellbeing during and after the excavation to a protective talisman. The talisman Howard Carter wore was the copy of the Assouan sandstone ring. 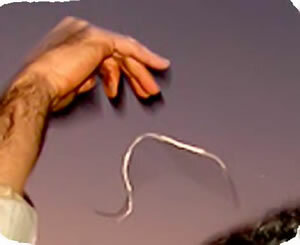 Modern analysis of the Bion ring, (based on the design of the original Assouan ring) using Vegatest electronic equipment, as well as kinesiology, confirms De Belizal's conclusions: the ring creates a powerful protective "cocoon" around the wearer, significantly reducing electromagnetic, geopathic and other stress. 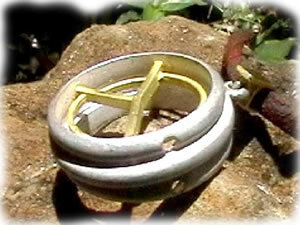 Tests performed in Australia, by Dr. Mark Abriel, D.C. USA and Dr. Bruce Purkiss, D.C. in September, 2003, with the Bion ring and other widely marketed devices designed for electro-magnetic protection, indicated a 30-40 % increase in EM protection from the Bion ring, over the other devices tested. The ring also positively influenced other bio-indicators,including having a normalizing effect on certain glandular as well as chakra functions(chakras:energy centers along the spine). Tests conducted by Dr. Keith Maitland, Dip. ICAK of Nooyan’s Wholistic Medical Center, West Burleigh,Queensland, in Februrary, 2008 confirm the Bion Ring and Bion pendant’s protective effects against man made Electro-magnetic Radiation. Mark Abriel, D.C. developed the Bion Pendant in 2005, to complement the effect of the bion ring. The bion pendant acts synergistsically with the ring, and with appropriate gems such as natural, uncultured pearl, diamond and emerald, for additional protection and consciousness enhancement. The Bion pendant uses similar bio-energetic channel concepts to the ring, to act as subtle energy conduits. with specific biological frequency windows that the bion ring is not tuned to, and vice versa. For example, the bion pendant has a protective effect against flourescent lighting, whereas the bion ring does not. From the period of 2005-2008, in the Byron Bay area of nsw, australia, Mark Abriel, his teenage son, Tom, and others have been able to document on high resolution digital stills and video, the appearance of luminous energy/3D forms. These forms were not generally visible to the eye at the time of photographic capture. Scientists such as astrophysicist, Massimo Teodorani, Ph.D. have provided evaluations of Mark and Tom Abriel's stills and videos. Dr. Teodorani has provided some possible hypotheses as to how the phenomenon is being captured by video and still cameras yet not visible to the human eye. Dr. Teodorani's hypothesis include: a) Digital camera sensors being sensitive to light spectrum outside of human visual sense(ultra violet, infra red) b)The phenomenon appearing at rapid flash rates beyong the humanbrain's capacity to discern. Some of the images captured by Mark and Tom Abriel reveal distinct geometric configurations. One of these configurations is in the shape of a central longitudinal band, around .4 metre in length. At either end of the band, is a "v-shaped" configuration. These geometric configurations have appeared in very close proximity to mark and tom during the dusk photographic shoots. This would confirm that the phenomeon is bio-interactive. 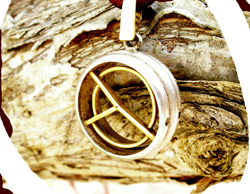 The bion ring and pendant geometries include a central channel carved into the underside, not visible when the ring and pendants are worn. These channels are connected to the outside geometries by holes, which in the case of the Bion ring, form the vertexes of the side pyramidal etched geometries. 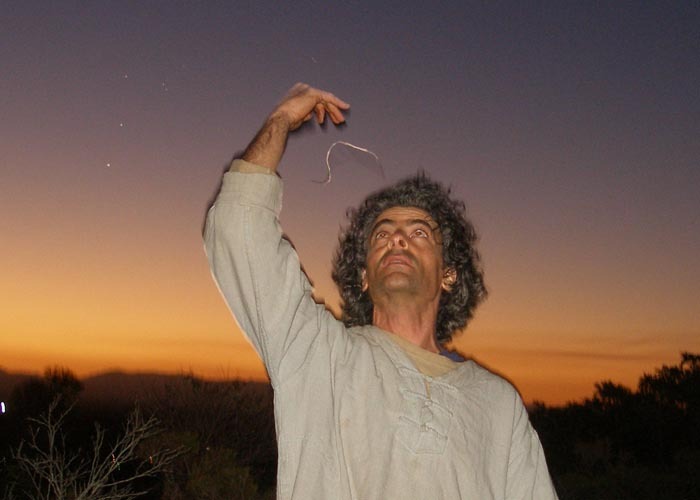 If one conceives of flattening the curved channel of the Bion ring, and "flipping" out the pyramids, one has exactly the same geometric form, as has appeared in a number of the "unseen" images taken in the Byron area from 2005-2008 by Mark and Tom Abriel. 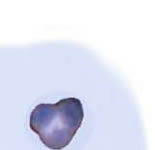 Mark Abriel began working with and wearing the Bion ring, and later Bion pendant in 2005, and it was soon after that the unseen images began to appear on digital stills and video. The connection between "unseen" geometric, bio-interactive light forms and the ancient "assouan" (Bion) ring will be the feature of an upcoming documentary, titled "Visitor". Subtle Energy Technologies optimum recommendation at this time, for man made electro-magnetic field protection, consciousness enhancement and chakra activation/attunement, is to wear the bion ring, the bion pendant, and the correct gem as generally prescribed through Vedic astrology. Bion ring: One size fits all, except for extra large. Please contact us if you require an extra large size. Many people ask whether the material the bion rings are made from is the reason the technologies work. The original assouan ring was made of sandstone. 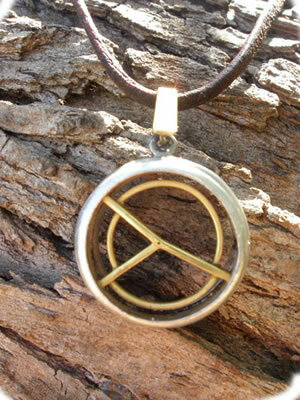 The material the rings and pendants are made from does have an effect, but it is a secondary effect. What is important, is that only bio-resonant materials should be used in the construction of these technologies. Bio-resonance is a very important area when it comes to metals. the knowledge of what metals are bio-resonant,and "para-magnetic" (allowing frequencies to pass through) as opposed to "di-magnetic" (causing frequencies to build up) is essential for healthy architecture and living spaces, and many other applications where people and animals are living and working. Fine silver,(pure elemental silver) is used in our rings and pendants rather than sterling silver(92% silver)because of its purity. other advantages of pure silver are that it doesn't tarnish, like sterling silver, and is malleable, allowing for adjusments on the finger. The 18 carat gold used in bion products is specially made using only fine gold, (24 carat) fine silver, and copper. Our 22 carat gold also contains only these metals. 18 carat gold used in impurities and non-bio resonant metals such as nickel. 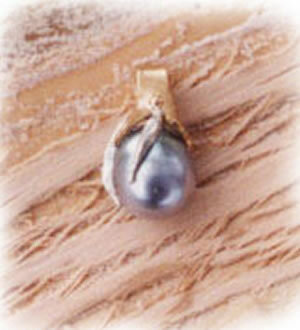 Many of our rings and pendants are also set with natural pure gold nuggets, straight from the earth. 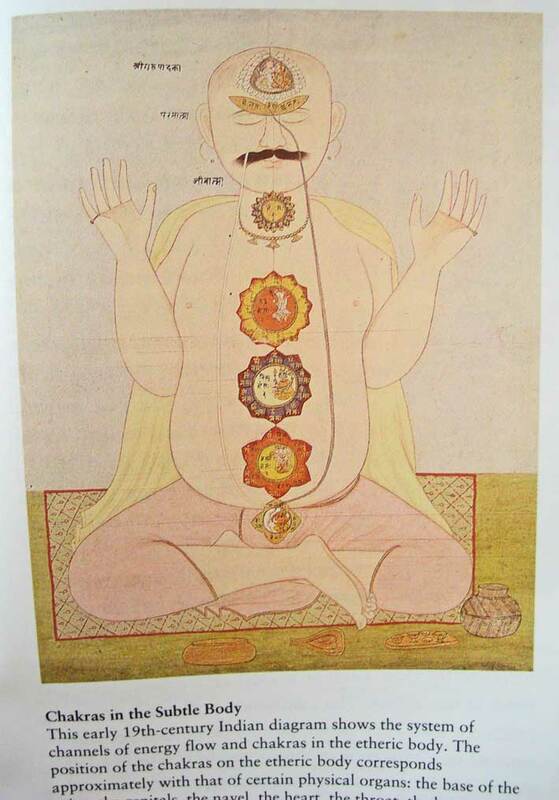 In vedic science, Pitta(hot) body types should wear silver, which is cooling, and cool body types(kapha, vata) should wear gold, which is heating. See "ayurveda and subtle energies" in the posts section of this website.